And with Halloween right around the corner, I’ve gotten a handful of emails asking about our Halloween traditions. Right now, we don’t do much to decorate for Halloween — I guess I’ve always just prefered “Fall” decorations over “Halloween” decorations, and I don’t want to store 2 sets of decorations all year long! 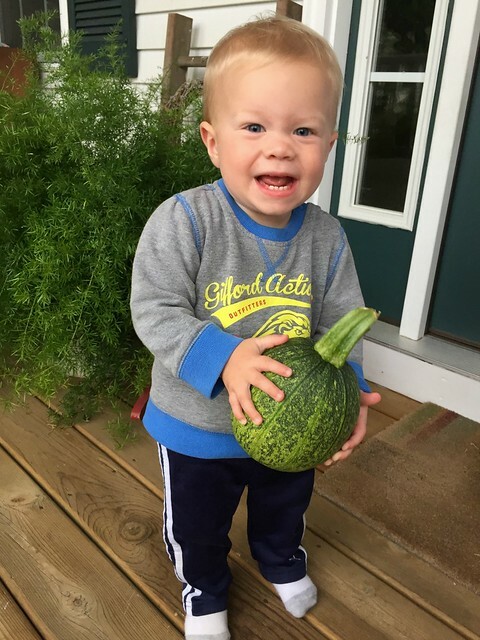 We do have a bunch of pumpkins from my Dad’s garden this year — and Nora and Simon are insistent that we paint some of them and carve the rest into Jack-o-lanterns for Halloween. I found this video tutorial with tips to carve pumpkins, and I have a few Martha Stewart pumpkin-painting tips saved in my Pinterest account! I’ll make sure to share our Jack-o-lanterns and painted pumpkins whenever (if-ever) we get around to carving and painting — but it might not be until after Halloween since I’m using the pumpkins in my Fall-themed decor right now. Growing up, my sisters and I always went trick-or-treating in our neighborhood, but Dave lived too far away from neighbors so trick-or-treating wasn’t really an option for him. 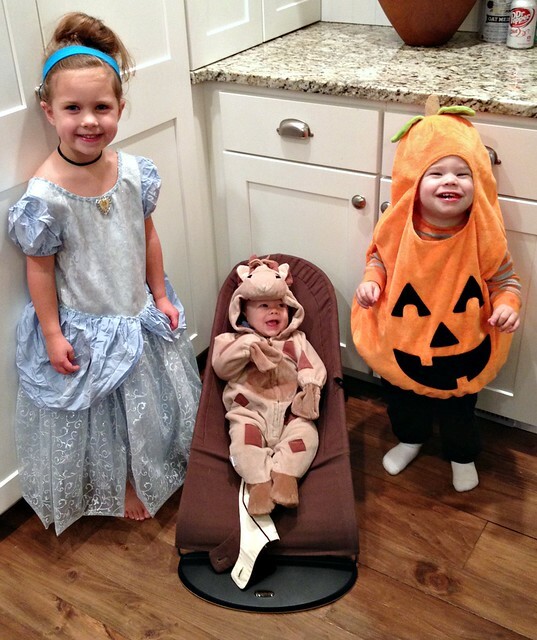 Now that we have 3 young children, we’re not opposed to taking them out trick-or-treating… but the truth is, they are still young enough that they don’t really know what trick-or-treating is, and they are used to being in bed by 7:30pm… so we’ve never taken them out on Halloween yet! NOTE: if you’re sending kids out this year, you might want to glance at this Halloween Safety Tips infographic, or take this Halloween Safety Quiz. 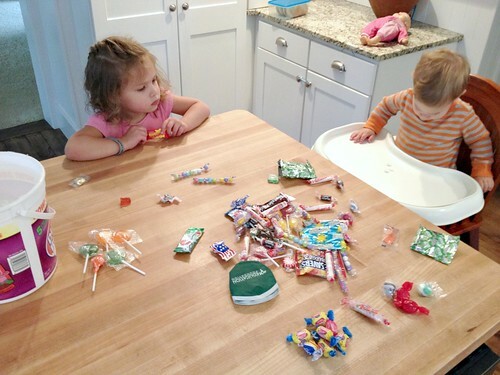 Nora knows that Halloween is all about costumes and candy, Simon knows he loves candy, and both of them LOVE playing dress-up, so we usually just get them dressed up and go visit our parents — who, of course, give the kids candy! Last year, the weather was so bad on Halloween that we actually took the kids to the grandparents’ houses a couple days later and they were still thrilled with their “fun night”! Costumes are definitely our kids favorite part of Halloween, and somehow, I have managed to get almost all our costumes for free! 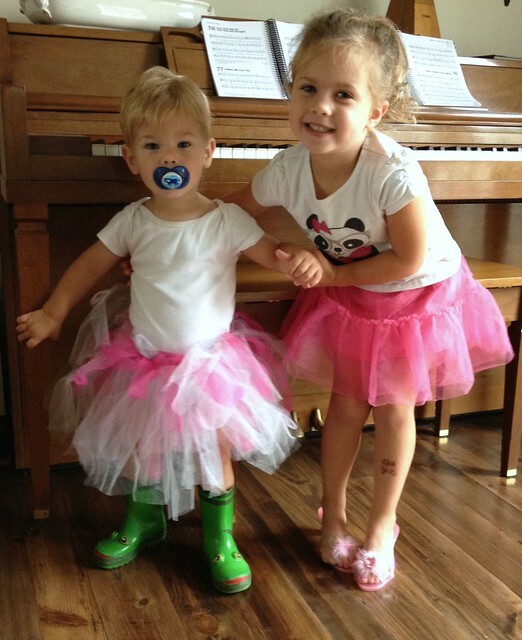 Last year, Nora wanted to be ballerinas with Simon! Up until this year, the only costume I paid for was Nora’s Cinderella dress — it was $5 on Craigslist, and potentially the best $5 I’ve spent in a long time. Not only did she wear the dress for Halloween and her Cinderella birthday party, she has also worn it for a dress up costume almost every day since then! 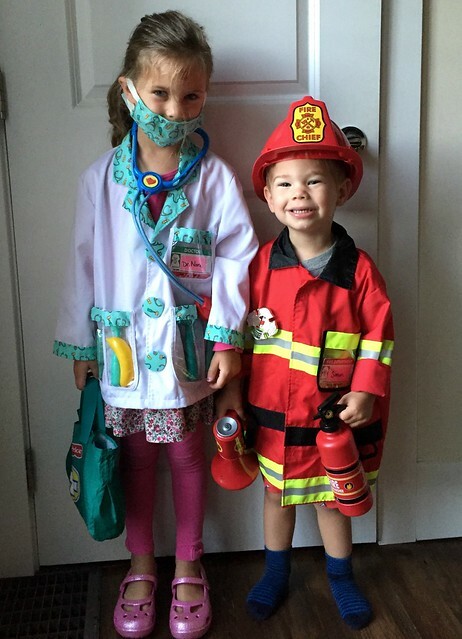 This year, the plan is for Nora to be a doctor, Simon to be a firefighter, and James to wear Simon’s pumpkin costume. I got Nora and Simon’s costumes for $3 each at a second hand sale last month — and they will both be used regularly for dress up clothing over the next several years! Before I found the doctor costume for Nora, she was insistent on being Elsa for Halloween — and then reusing the costume to dress up for her birthday party at the end of November. I have been looking for an Elsa costume in her size but haven’t had much luck yet. At least now I have an extra month to find one — or I might just end up making one! 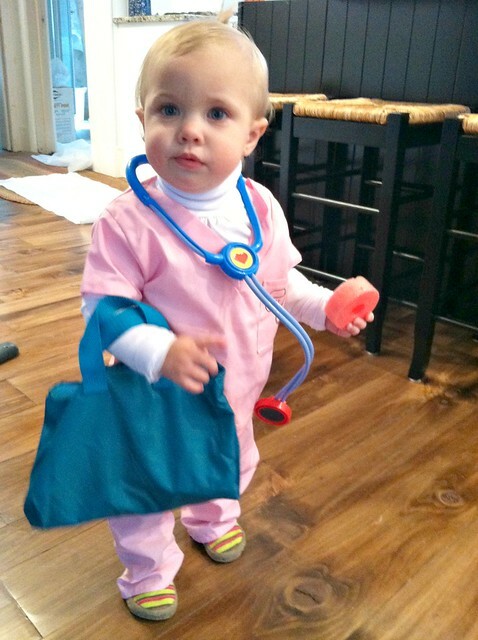 If you’re making your kid’s Halloween costumes this year, definitely make sure to check out Pinterest for inspiration (it’s amazing how creative some people are)! Also, take a look at these tips for homemade Halloween costumes (definitely some good points to consider)! Dave and I have always enjoy sweets, so we don’t really care if our kids eat a bit of extra candy around Halloween. 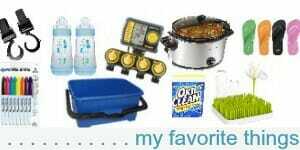 That said, if you don’t want to do candy treats this year, here are a bunch of different ideas for non-candy treats. And here’s another list of 20 non-candy treats. They are pretty “involved” and too much work for me, but they would be fun if you only had to make a few of them for a kid’s Halloween party! 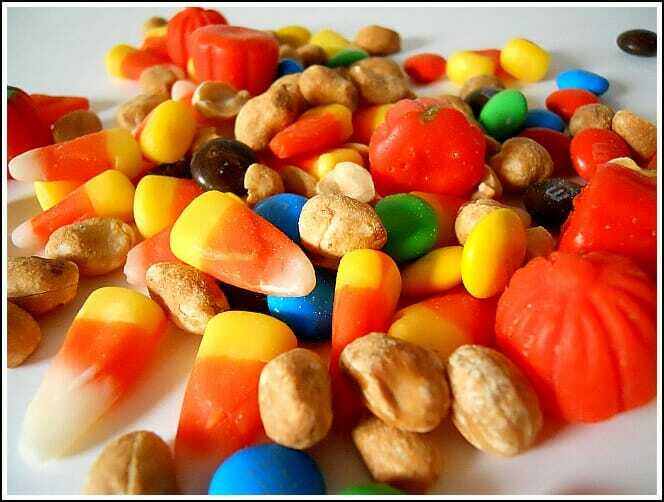 As for other favorite Halloween “treats”, our whole family loves the Candy Corn + Peanuts + M & M mix. I don’t do any specific Halloween foods, but I will probably make orange colored Pumpkin Pancakes at some point in the next couple of weeks (usually with chocolate chips for a face) and I might make Marshmallow Ghost treats too (use a little frosting to ‘glue’ mini chocolate chips as a face on a large marshmallow). 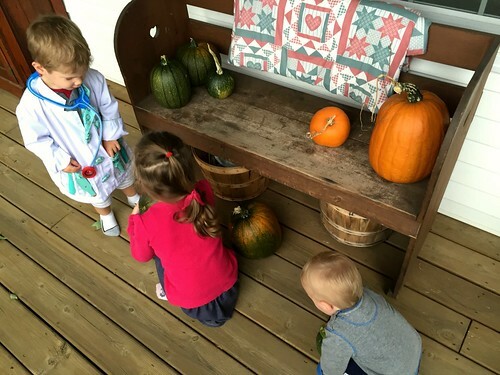 Again, I might do more as my kids get older — but Halloween has just never been a huge event for our family. It’s fun for the kids to carve a pumpkin, get dressed up, and eat a bunch of candy, but that’s about as “crazy” as our family gets for Halloween! 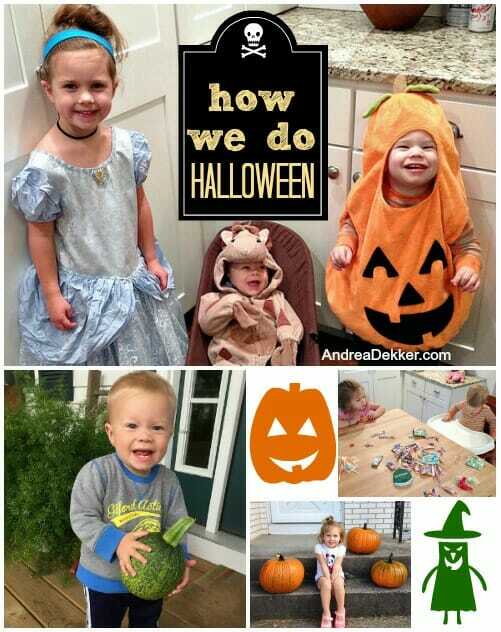 Do you have any fun Halloween traditions, memories, treats, or DIY costumes? I remember taking my younger sister trick or treating. Those were my favorite Halloweens. we also carefully ask other parents about Halloween… our kids go to a Christian school and not everyone feels its okay to celebrate… but we like balance, so we let our kids dress in non-scary stuff and trick or treat, weather permitting, but we make a little bit bigger deal about our church’s kids’ club harvest party, where they also get CANDY!! a few of our local dentists “buy back” candy from patients and give them gift certificates for a little bit bigger (one time) treat or toy… that’s fun, too! I love the nursing home idea — and I’ve also heard about dentists who buy back candy. I’m not sure my kids would go for that since candy pretty much “trumps all” with them right now — but a good idea for future years! thanks so much for this information — that looks like SO much fun! Our small town has a business trick-or-treat day where all the businesses from the courthouse to the lawyers office hand out candy from 3-5. 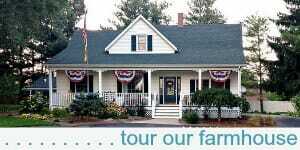 So we plan on going to that and then stopping at a few frriend’s houses on the way home. That will be more than enough for my kiddos and for me! And my almost 4 yr old DD (who reminds me a bit of your Nora) has already dictated costumes; her, her sister and I are to be butterflies and daddy is to be a pirate. Yes mam. haha — is she going to make your costumes too? Our daycare has a big “Fall Festival” in mid-October so the parents arrive late afternoon to put the kids in costumes and participate in the activities and enjoy some snacks. This sounds awesome — and home by 7. You can’t beat that! 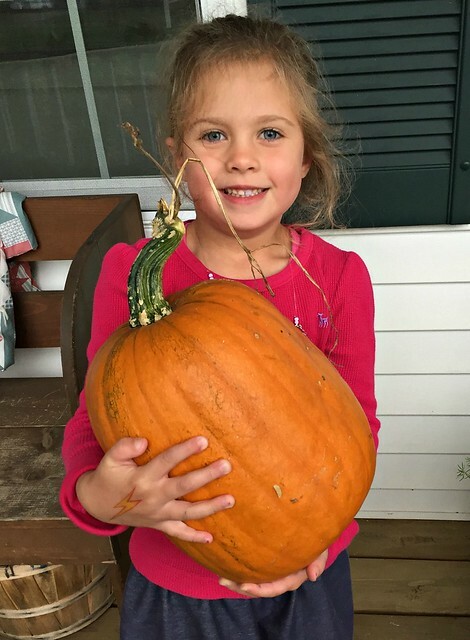 Halloween is my daughter’s best friend’s mom’s favorite holiday. 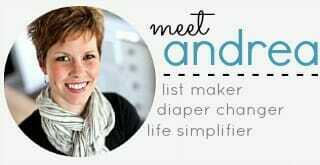 She throws an all out party with decorations, tons of food and candy (she even takes a day off of work to prepare). I am more than happy to show up every year with just a bag of candy and a bottle of wine for the adults. haha — I love it! Those are my favorite types of parties too. Just bring a bag of candy and call it good! Check amazon for the Elsa costume. I happened to see one on sale for $11.